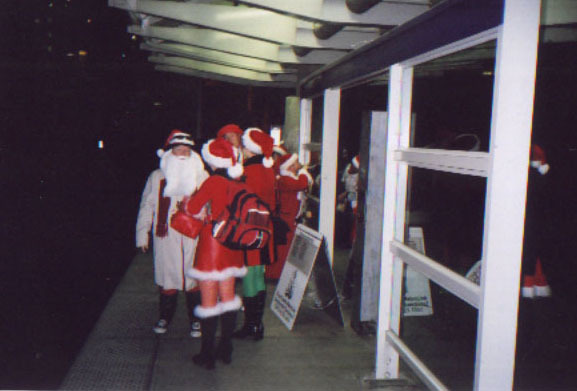 We find the other Santas in the Loop and await the Metrolink train. 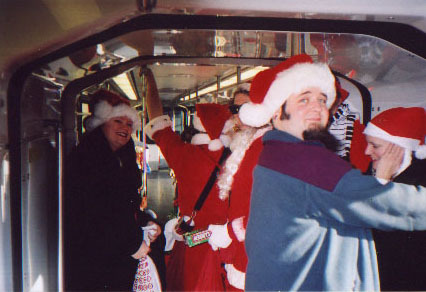 Once aboard, we start meeting the other Santas and passing out candy and tiny liquor bottles to the amused passengers. 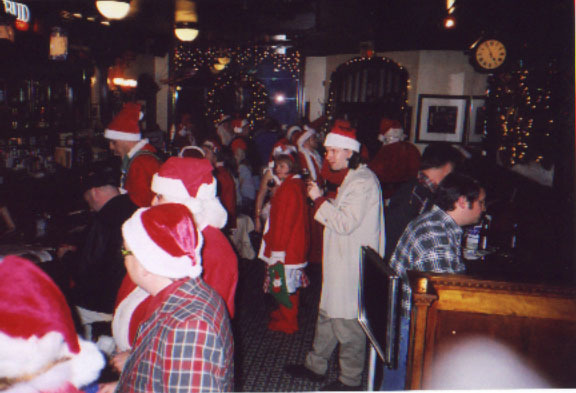 After a long walk from the station we drink at Llywelyn's. 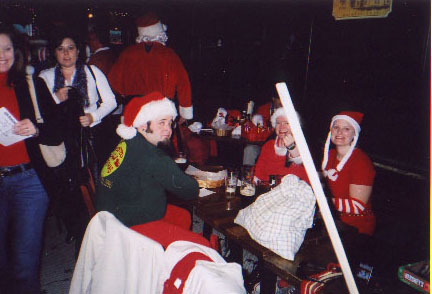 They give us complimentary pretzels and chips. 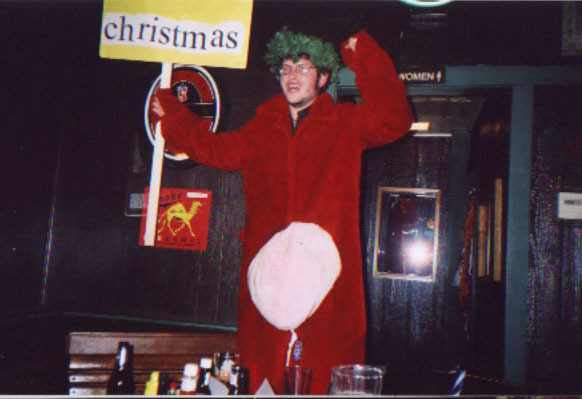 One Santa wields an angry sign and wears a red cow costume. 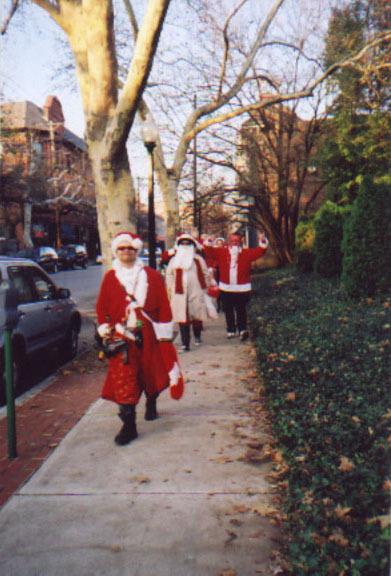 Mega Santa announces on his megaphone, "Santa gotsta GO!" 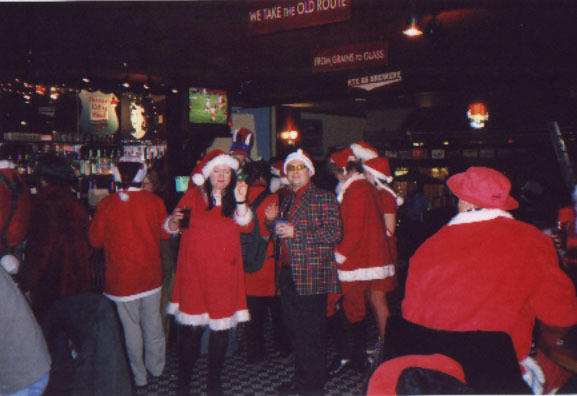 and we trek through Central West End to the next bar. 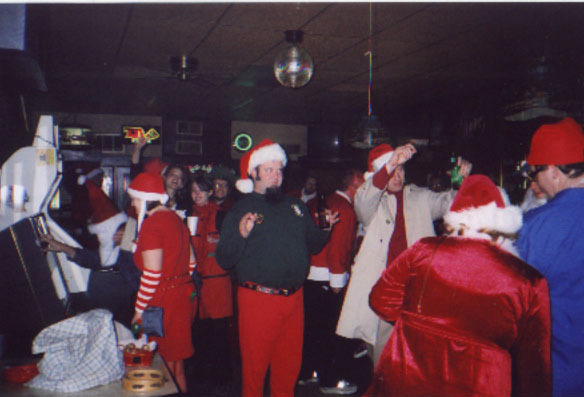 Santas en route to Rosie's Place, singing "You better watch out, you better watch out..."
Santa conducts some caroling Santas as other Santas pick out tunes on the jukebox. 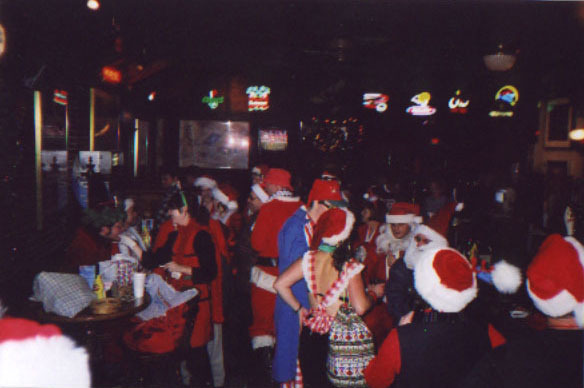 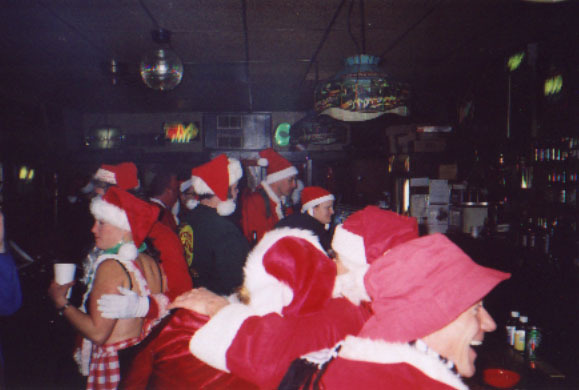 Santas at Tom's Bar & Grill. 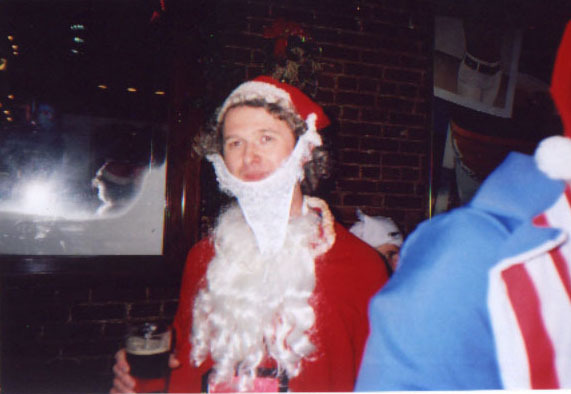 Soulard Santa sporting a beard made from Ladies' underwear. 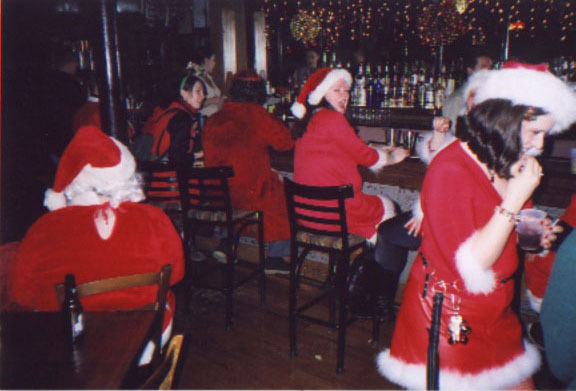 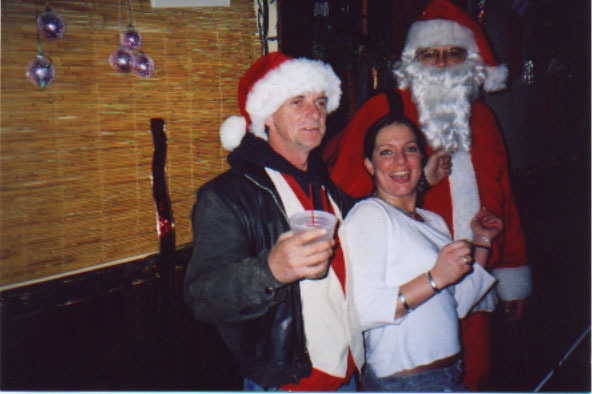 Santas getting drunk at Tom's Bar & Grill. 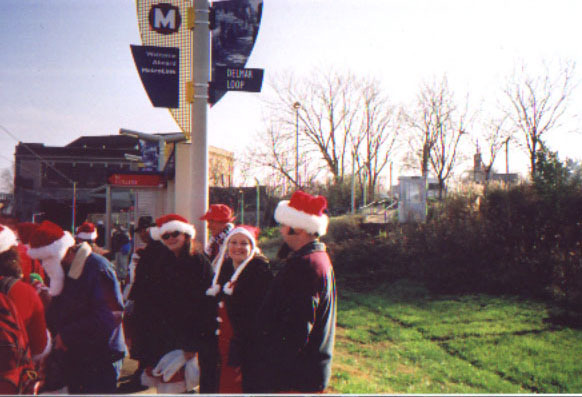 Waiting on the Metrolink platform. 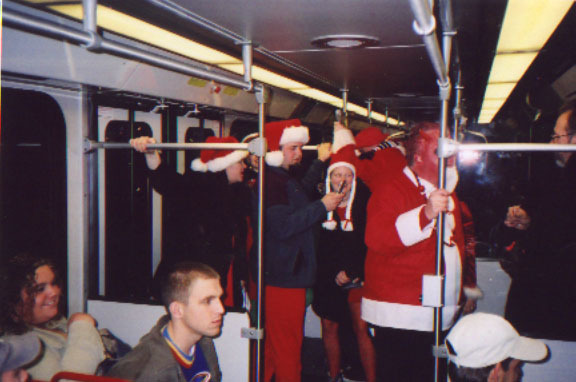 Dyslexic (Satan) Santa and us on Metrolink. 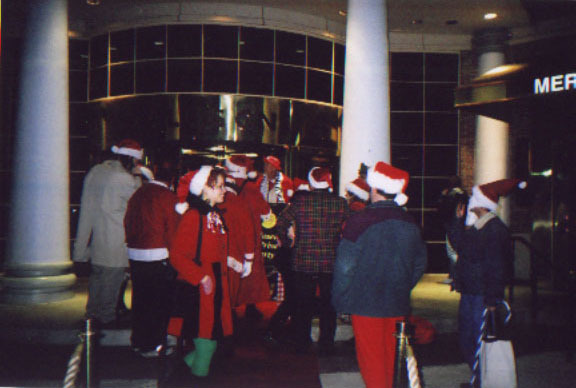 Santas are denied access at Hard Rock Cafe as it is closed for private party. 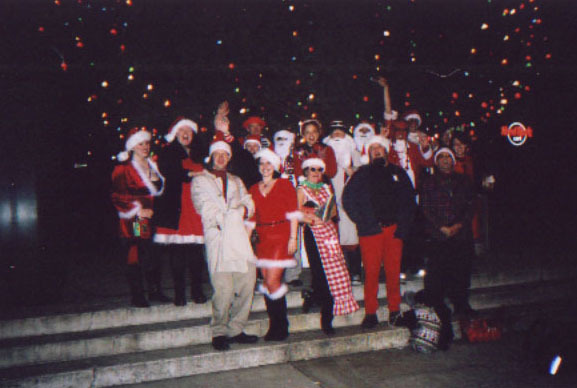 Santas pose for group foto by giant Christmas tree at Union Station whilst amused shoppers look on. 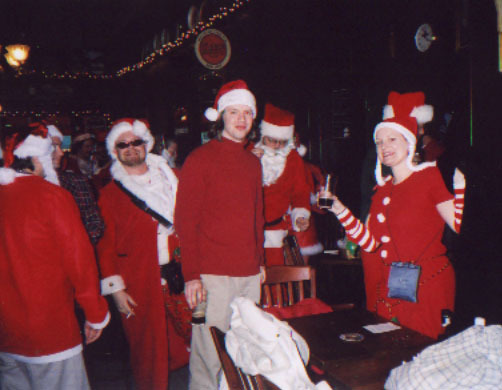 Route 66 Brewery: Insurance Salesman Santa sneaks a watergun into my pocket and then tells me there will be a shootout between the Santas and the bar patrons and I have to go arm them. 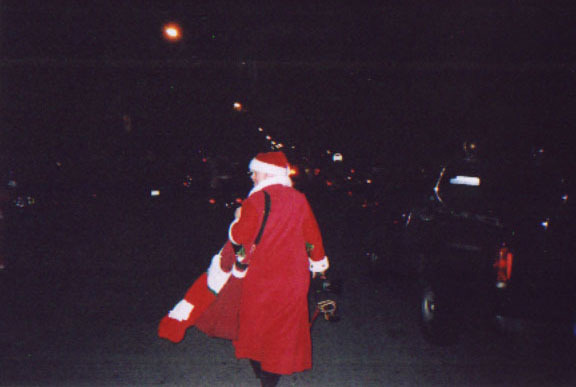 Santas very drunk at Nadine's.